Reports reaching our desk indicates that the contract details pertaining to the $10 million sponsorship deal offered by Zylofon Cash for the Ghana Premier league have conspicuously gone missing at the Headquarters of the Ghana Football Association (GFA). 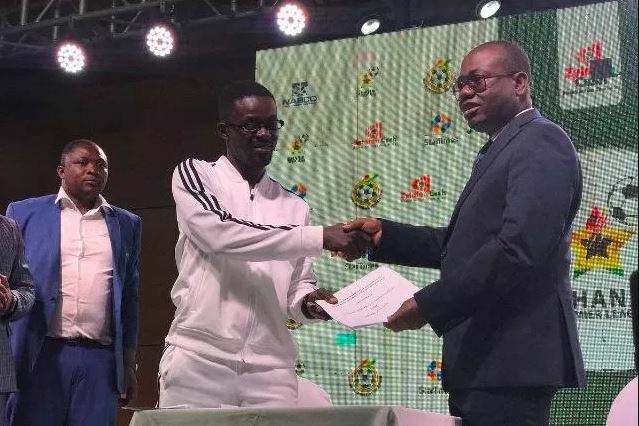 The FA agreed on a mega five-year deal worth $10 million with the Football Association last year before the Anas Number 12 which revealed the alleged corrupt practices of certain personalities in the domain of Ghanaian football including the former football association president, Kwesi Nyantakyi. According to details emerging from the GFA, the Normalization Committee forensic audit team reviewing contracts under the tenure of banned GFA president, Kwesi Nyantakyi reveal that they are unable to find those documents relating to the Zylofon deal in particular. This shocking news was revealed by Head of Sports of Atinka Media, Saddick Adams on his Facebook page. Meanwhile, in response to concerns by observers in relation to the status of Zylofon Cash’s parent company, MenzGold Ghana Ltd; the entity has been in a tussle with the Bank of Ghana and the SEC over its operations in the last few months leading to the closure of its offices, Halifax Ansah-Addo, communications director of Zylofon Cash said the company was still strong enough to help the Ghanaian league but it seems this might never happen as the documents have gone missing with Nana Appiah Mensah’s properties taken over by the state.